Non Tasarmi, Fratello! : Bishop Gregory Has Left the Mansion! Memphis, Tenn., Jun 30, 2018 / 06:00 am (CNA).- Last week, the Vatican sent two representatives to the Diocese of Memphis for an apostolic visitation. According to reports from local media, the visitation was to address concerns regarding major changes made by Bishop Martin D. Holley, including the reassignment of up to two-thirds of the 60 active priests in the diocese. 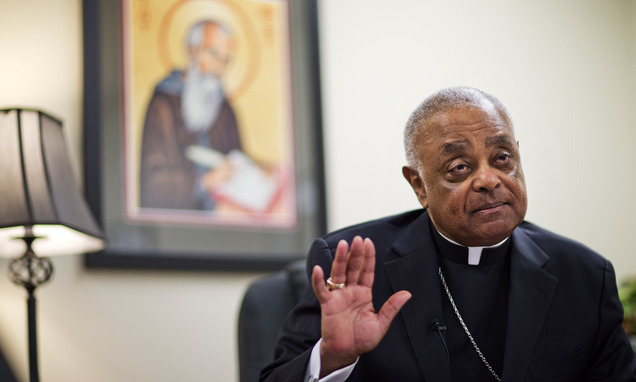 Archbishop Wilton D. Gregory of Atlanta and Archbishop Bernard A. Hebda of St. Paul-Minneapolis were assigned as the apostolic visitors, and were sent to Memphis for three days of “fact-finding,” which included interviewing Memphis-area clergy and laypeople, according to Memphis newspaper The Commercial Appeal.